This level has medium difficulty. 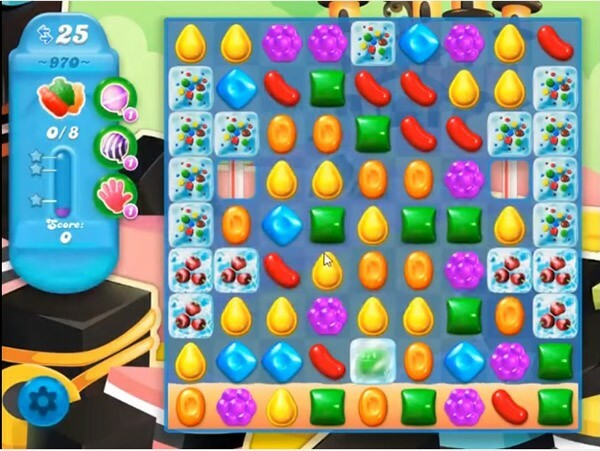 For this level try to play more from bottom part of the board where more candies are available to play and combine more same color candies. Use special candy or play near to blockers to break them to get the soda bottle. I guess I have to wait for a good board. Out of boosters, and I don’t pay to play. Just like CCS, I’m on level 1290 there.